Story: Portland, Oregon American Indian Rights detective Lucky Two Crows is hired by a wealthy Montana businessman, Clarence Two Moons, to solve an attempted murder on the Blackfeet Reservation, where Lucky was born. There are ulterior motives, which include Clarence’s beautiful daughter Summer, and parallel life connections to their 1876 Indian selves, as Lucky solves the case. This novel has been written and is ready to publish . Detective Mystery. Romance. Metaphysical Twists. Story: Four elderly people have disappeared from a Portland dementia facility, Happy Acres. Retiring Police Captain Jimmy Meriweather has been given the case, helped by his rookie assistant Detective Taylor Banks, and Lucky. One of the elderly is Robert St.Clair, recluse billionaire owner of Shambala Natural Foods, is accused of murder. The other elderly man, Robert’s best friend Howard, has also been accused of murder. The Police Chief orders Jimmy to bring them back no matter what. Lucky goes with the detectives to Japan, where they meet the young (looking) Immortal Master, and continue on to Hong Kong where Taylor is kidnapped. This novel has been written and is currently being edited. Detective Mystery. Murder. Metaphysical Twists. Story: We learn about Robert St. Clair’s life, and also the lives of Maggie, Howard, and Sopi —all in their late 70’s. In Japan they meet the young Immortal Master who later will guide them to Shambala. They continue on and Kathmandu, where Robert buys a small plane, and meets the same young Immortal Master, in another form, as his pilot. The detective are on a journey with another Immortal Master, 1000 miles away. Eight people need to find love, to change their energy in order to enter the 5th dimension of Shambala. At the end of this book the reason for this journey is revealed. This novel has been written and is ready to be edited. Mystery. Romance. Metaphysical Twists. Story: Story: Taylor now owns Shambala Natural Foods and is worth $7 billion. Her business will thrive if all GMO farming is eliminated. In secret Robert St. Clair has supplied Lucky with the means to build the next generation computer hacking facility. Once they begin, it becomes a Robin Hood story; stealing from cartel corporations, and putting the money into altruistic green companies, organic farms, and alternate technology. It becomes the ultimate act of Cyber Terrorism, and the FBI agent Tim Hawkins is convinced Lucky Two Crows is the mastermind. When the US economy takes a quick positive turn, the President takes credit, and sends out an order to Kill whoever did this. 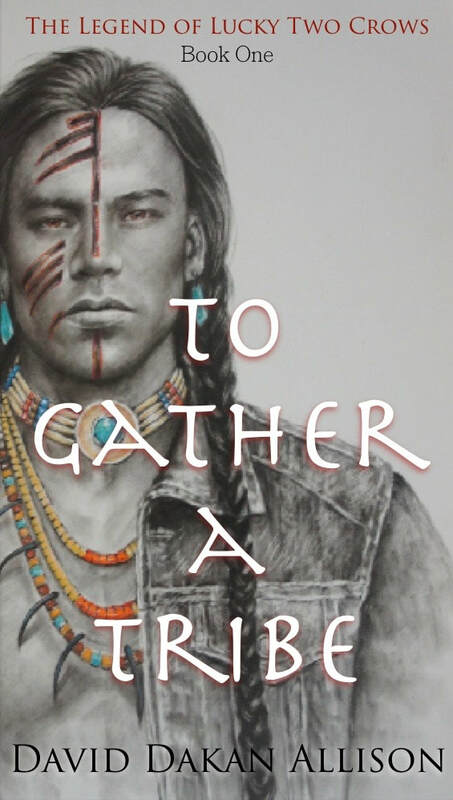 Lucky and Taylor are in danger, and the 1876 Blackfeet Indians are there to warn them, when their deaths are near. This novel has been partially written, needs to be put together, then edited. Detective Mystery. Thriller. Metaphysical Twists. Story: In 1876 Two Crows, then a scout for General George Custer, deserts and returns to his Blackfeet village. He wants his Medicine Man grandfather to cure his Future Dreaming. He marries White Feather. 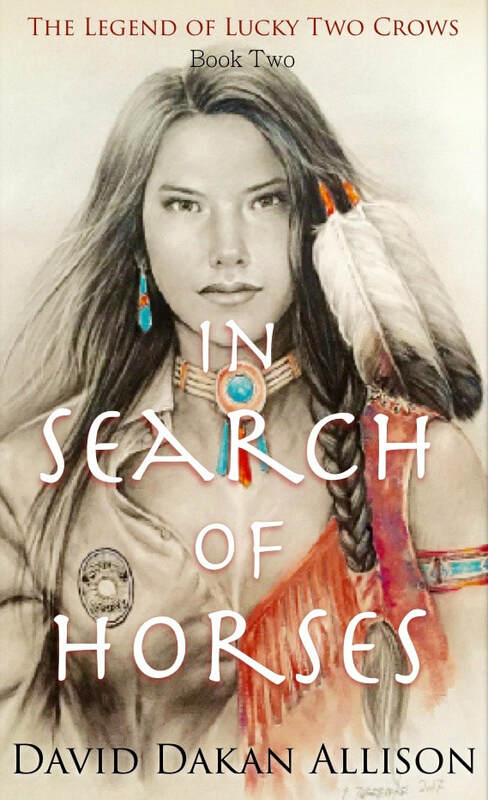 After leading warriors on a massacre of 7th calvary soldiers, he decides to follow in Grandfather’s footsteps, to become a Medicine Man and ride the High Pony. This book has been written and is ready to be published. Historical Fiction. Parallel lives. Romance. Story: Robert St.Clair lived in Shambala until he was 35 years old. In his last years there, he wrote a book titled Many Gods - One Heart. In the mid 1960’s the book became very popular to guru chasers in the US. In 1967 (as he told in The Lost Master) he began a speaking tour in New York City, after which he ran away from that life. This book is excepts from his original book; parables and poetry, words of wisdom. This book has been written and is ready to be edited. Parables. Spiritual Teachings. Story: Lucky returns to Hardin, Montana. Local young men are missing, and mothers are concerned. During his investigation he goes to an abandoned prison, and discovers an underground uranium mine run by the North Koreans, mined by slaves (the young locals) and defended by the American Indian Army. He has to fight his way out, and almost falls in love, even though he is in a romance with Taylor. This novel has been partially written, needs to be put together, then edited. Detective Mystery. Murder. Romance. Metaphysical Twists. Story: At age 22 Lucky went to Bangkok to learn Muay Thai boxing. While there he fell in love with and married an 18 yo Thai girl. He left her to return, but never did. Now he is 37 years old and Taylor receives a ransom letter regarding the15 yo son Lucky never knew he had. This leads to a trip to Bangkok, a search and a lot of martial arts fighting. And the truth of what is really going on. Story: Retired Captain Jimmy Meriweather and Lucky run an Aikido dojo in Portland. Two 12 yo boy are sent to them by a compassionate judge, to sort out the bullying. Jimmy gives them both a project to talk photos of Portland buildings over fifty years old, with camera’s over fifty years old, develop the film on their own, with the help of young mentors, also in trouble with the law. A heartfelt story of redemption and trust, where everyone wins. Story: Tashi is a Kyoto Japan Private Detective, and also a photographer. For years he has been fascinated with a certain crypt, in an ancient cemetery in Kobe. One day while there, the crypt mysteriously opens and inside he finds the 16th century Royal Twins, sitting upright with their severed heads in their hands. Between them is a book. Tashi steals the book, and back home he discovers that it is the story of the Middle Earth. It talks about Hawaiian legends, about Mu, the 5th dimension and the Middle Earth. Since his friend Lucky Two Crows went to the 5th dimension, he gets Lucky and his team involved. At the same time Kit and Kat, the sixteen year old twin children of Japanese billionaire Kozo Kosai. come to Kyoto, and get engaged in an extremely bizarre adventure on Mt. Kurama, searching for their missing Mother Pualani. In reality, they are the reincarnated Royal Twins and it is their destiny, as it was then, to open the portal into the Middle Earth. This novel has been written, needs writing and put together, then edited. Story: the twins' adventures continue when the Tengu Shaman sends them on a journey in search of the portal into the Middle Earth. They first go to a between-dimensions Mu pyramid in the bottom of the Pacific Ocean, which is a portal into the Middle Earth. They discover they need five Crystals Spheres, to place on the mother board, in order to open the portal. They are then dramatically transported to a pyramid in the Himalaya’s, where they have to fight off nine foot tall Monkey Soldiers to recover the most powerful Clear Crystal Sphere. Back in Kyoto they learn more about their missing mother, now convinced she’s still alive. They find the Blue Sphere in Egypt, while playing an arcade game. The book ends with them being kidnapped by the evil ruler of Middle Earth and taken there as prisoners, because he also needs the Spheres to possess the power required to rule the worlds, and he knows that only the Royal Twins can find them. This novel has been written, needs rewriting and put together, then edited. Story: The twins are prisoners in the Kingdom of Middle Earth. They find out that the ruler’s intention is to kill all the unnecessary (90%) people of both worlds, and become the sole ruler. He is mad for power. The twins must stop him. But first they must escape their imprisonment and rescue their mother, which they do. The three of them return to the Upper Earth, where with their mother’s knowledge of why, they must find the remaining spheres, to keep them from people like this evil ruler, to maintain the correct vibrational frequency of both worlds, to keep the worlds safe for ever more. Note: There are many fascinating side stories in this compelling adventure. It may require a 4th Tashi book before all five spheres are found, and the worlds are restored to harmony, where Lucky’s world vision of no hunger, no homelessness, no unnecessary disease, with parity of wealth, and universal love and acceptance, is achieved. This novel has been written, needs re-writing and put together, then edited. Lucky Two Crows - 36 year old American Indian Detective, and wanna be cyber terrorist. He is involved in all books except Many Gods-One Heart. Jimmy Meriweather - 64 year old African-American Detective/Aikido Master, who just wants to retire and run his dojo, before he gets caught up in this one last adventure. Taylor Banks - 29 year old mixed race, beautiful Detective. She wants murder cases, but accepts the missing person case, only to get wrapped up in it. She eventually falls for Lucky, and aids him in his future plans. Robert St.Clair - 80 year old white recluse billionaire, owner of the largest natural foods company in the world. He was raised for 30 years in Shambala to be the next Rinpoche. Now he just want to return to paradise with his beloved Maggie, and best friends, and acknowledge the fact that he has a daughter. Howard Johnson - 78 year old former African American Mississippi share cropper, found by Roberts and hired as his organic farming expert. Best friends for 25 years until Howard got dementia. Clarence Two Moons - 70 year old Montana millionaire business man, who is also Grandfather in 1876. Two Crows - 21 year old 1876 Blackfeet Indian, former Crow scout of Custer. He dreams his future self - Lucky Two Crows. White Feather - Two Crow’s 20 year old wife who also dreams of the future. Summer Two Moons - 32 years old. Clarence’s attorney daughter, who was White Feather in 1876. 10. Maggie Sinclare - 78 years old. Formally Robert’s massage therapist. On his death bed he realizes that she is the love of his life, so he comes back alive to take her to Shambala. 11.Sopi Nguyen- 76 years old. She is the love of Howard’s life, and mother of Lily Vahn. 12.Lily Vahn - 54 years old. Robert’s personal assistant and Doctor of Biology, top Shambala Foods executive. She goes with the detectives in search of the old folks and falls in love with Jimmy. 13.Tim Hawkins - 52 years old. Slightly deranged head of the Portland FBI. George Custer in another life, he’s now out to get Lucky, subconsciously, for causing his death in 1876. 14.Tashi - 32 years old. Japanese Detective, Friend of Lucky. Finds book with Hawaiian Twins story, and gets involved in the Living Story. 15.Kozo Kosai - 55 years old. Kyoto billionaire. Friend of Robert. Father of Hawaiian Twins. 16.Kit Kosai - 16 year old son of Kozo. The co-hero of these books. 17.Kat Kosai - 16 year old daughter of Kozo. The co-hero of these books. 18.Tenzin - Immortal. Starts out as Roberts Tibetan 20yo assistant. Really an Immortal Master. As he quickly assumes his real age, he leads the Detective into the Himalayas and on to Shambala. 20.Tengu Shaman - Immortal. Wizard on Mt. Karuma. First seen by Maggie. Later gets involved in twins’ adventures. 26.Razul - Immortal. Evil Lord of the Underworld. Chikara’s real boss. 27.Sumo - Age unknown. Tengu boy/dog on Mt. Kurama. 28.Kinju - Immortal. Tall African prince from the 16th century. Assistant to Kizar. 30.Basho - Immortal. Japanese dwarf from the 16th century - Assistant to Kizar. Story: Zen teachings for Modern Times. 14. Seven Steps to Higher Consciousness. What to know before you drop your shorts and blow your wad in Thailand. Story: Sexual healing in Thailand. Warnings and advice. Positive experiences shared. Any book of the Shambala Chronicles could be written as a Motion Picture. Story - The bullied fat boy fights back, and the two 13 yo neighbors end up before a judge. The kind judge (Morgan Freeman?) treats the bully and bullied young teenagers equally. Sets up a black & white photo contest, where they can only take black & white photos of buildings made before 1960. College graduates mentors help them, and all lives are changed, forever. Story - Before his Chicago wedding, the groom admits to his attorney wife-to-be, that while in Bangkok 12 years before, he married a bar girl and she got pregnant. The bride insists - If he sired and abandoned a now 12 yo child., they must find the mother and child, and do the right thing. They go to Bangkok to find her. They finally find her in Las Vegas, where she is owned by a Thai pimp. Lots of fighting, danger and intrigue as they battle with the Las Vegas Thai mob in an attempt to free the mother and their 12yo son. Will he fall in love with her again? Story: An epic tale in search for five crystal masks, and the women who embody them. Story: With a videographer, we would travel to remote regions of the world in search of the tribal Shaman Mask Maker. Through a translator we would record the story for posterity. Archive a dying art. The Shaman is the one who holds the spiritual wisdom of his people. We would show the art, and later it would become a beautiful photo book, with the portrait, art and story of each Shaman. I qualify to interview, since I too was a Shaman Mask Maker, producing over 1000 original masks, sold to collectors all over the world.